The following remarks were made by Maire Mullins of Pepperdine University on the presentation of the award to Dana Gioia on December 29, 2009, in Philadelphia. While serving as Chair of the NEA, Gioia achieved bipartisan support for arts education, not an easy feat. During his tenure the NEA focused especially on underserved communities through programs such as Shakespeare in American Communities; Operation Homecoming; NEA Jazz Masters; American Masterpieces; and Poetry Out Loud. The NEA also funded two critical studies: Reading at Risk and To Read or Not To Read: A Question of National Consequence, which brought public attention to the importance of reading and arts participation. Gioia left the NEA in January of this past year and is currently serving as Director of the Harman-Eisner Program in the Arts at the Aspen Institute. Born in Southern California, Gioia received a B.A. and an M.B.A. from Stanford, and an M.A. in Comparative Literature from Harvard. Gioia describes himself as a “Latin Catholic — a mixture of Italian and Mexican ... raised by working people … born in poverty. My mother’s childhood was a nightmare of deprivation. My family had a stoical view of existence. You bore your sorrows quietly. When I read Seneca and Marcus Aurelius in college, I felt an immediate sense of recognition. Their voices sounded like my Sicilian uncles and grandfather. Stoicism is the Mediterranean and Mexican worldview.” Perhaps this stoical outlook allows Gioia to have an ear and an eye more fully attuned to the epiphanic instant from which he carves his poems. Like T. S. Eliot and Wallace Stevens, he had a successful career in business. He worked for 15 years as a business executive, eventually serving as a Vice President of marketing at General Foods — even as he continued to write. He is the author of two opera libretti and three books of poetry: Daily Horoscope (1986); The Gods of Winter (1991); and Interrogation at Noon, which won the American Book Award in 2002. He writes poems in varied forms, of lyrical beauty and narrative power, and on enduring themes: the eventuality of death and the hope for resurrection; the reality of evil and the power of love in all its forms; the gleam of grace to be found in nature, especially his native California; the capacity and limits of language. His poems, translations, essays, and reviews have appeared in many magazines and anthologies. His 1991 essay in the Atlantic Monthly, “Can Poetry Matter?” is often viewed as one of the most influential literary essays in recent history. His critical collection, Can Poetry Matter? : Essays on Poetry and American Culture was a finalist for the 1992 National Book Award in Criticism. He has written on a wide array of poets: Wallace Stevens, Elizabeth Bishop, Robert Bly, Philip Larkin, Charles Causley and James Fenton, among many others, in critical essays that are both exacting and generous. For example, he admires the way Charles Causley mixes the magical and the mundane – qualities that are apparent in Gioia’s work as well. He writes, “my basic view of lyric poetry is both sacramental and metaphysical. It is not enough to show the surface of the world or the exterior of existence. It is also necessary to reveal, or at least suggest, what lies beyond the physical senses.” If you have ever had the pleasure to hear Gioia read his poetry, you will know that you are in the presence of a unique voice in American poetry – one that is incantatory in the manner of Walt Whitman, authentic in the style of T. S. Eliot, and dramatically aural in the sense of W. H. Auden. Gioia is deeply respectful of form and rhythm, perhaps due to his background in music, but also because he wishes to connect with the reading public through a return to form and meaningful narrative. For Gioia, poems are not words on a page; they must be heard. The ear is the first and finest eye. In his 2006 interview with Rob Snyder, published in the Autumn 2006 issue of Christianity and Literature, Gioia said that “Catholicism is in my DNA – my ethnicity and my upbringing. I refuse to join the ranks of ex-Catholics, who so slavishly follow intellectual fashion as a part of upward mobility. My sympathies are with the poor and the faithful – the people who raised me. ... Every poem I have ever written reflects my Catholic worldview, especially my sense of struggle in living with my own imperfections in a fallen world. Besieged by failure and despair, tempered by humility and suffering, I hope to remain alert to God’s presence in the world.” One way to remain alert to God’s presence, Gioia notes, is to perceive the redemptive nature of suffering. Paradoxically, suffering can foster spiritual development, can teach “courage, patience, and compassion.” These are the themes that Gioia returns to in his writing. 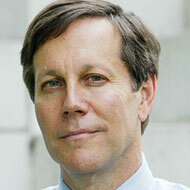 The Conference on Christianity and Literature is delighted to bestow its Lifetime Achievement Award on Dana Gioia in gratitude for his devotion to the arts and arts education, his enduring contributions to poetry, his dedication to the written and spoken word, and his vigilance in remaining alert to God’s presence in the world.